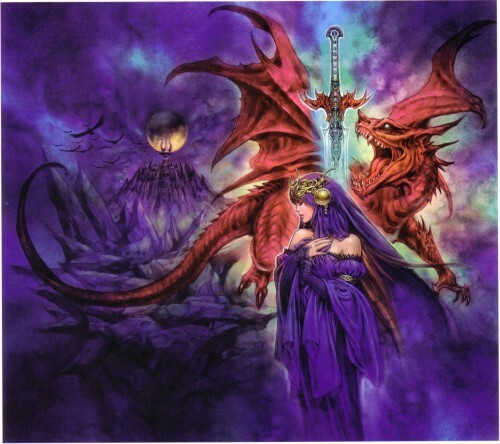 Marvelos, the dragon is awesome and the girl looks really beautifull, i like this pic. he is the man. excellent. The detail on the sword is pretty good. And if that's the moon in the background above the mountains, that's a nice effect. Merci.